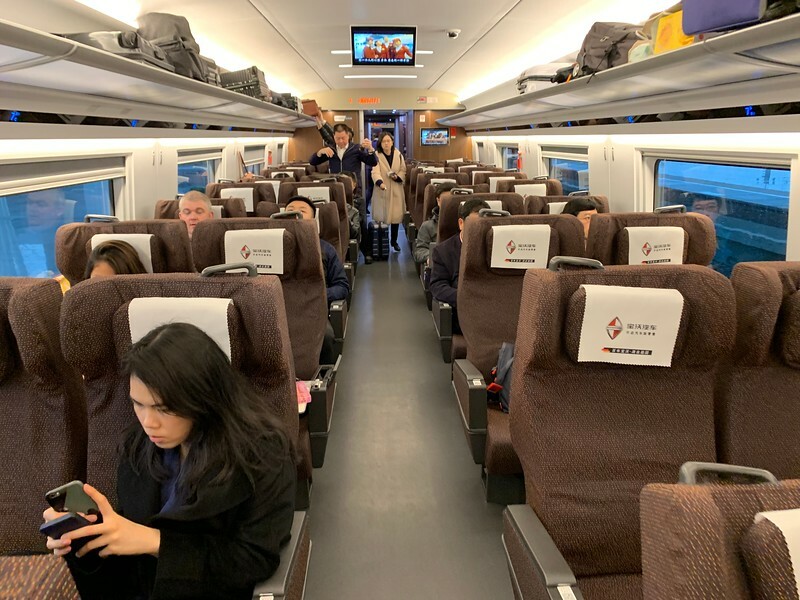 Recently I wrote about the business class seats in China’s EXCELLENT high speed train from Shanghai to Beijing. It was a wonderful experience. 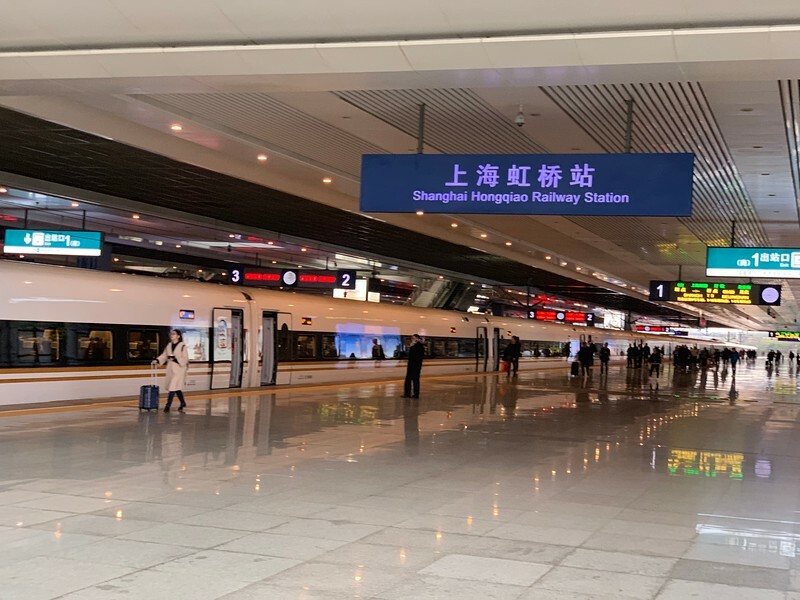 I also wrote about how you, the foreigner without WeChat and all, can buy the China high speed train tickets online and have them delivered to your hotel. 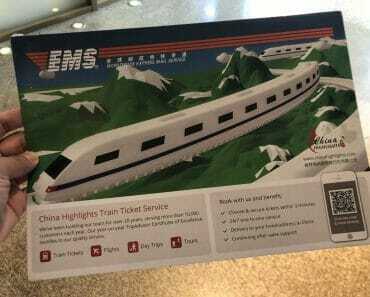 I used the same company (China Highlights) as before to buy the tickets. Again, they delivered to my hotel at the Bund safely. 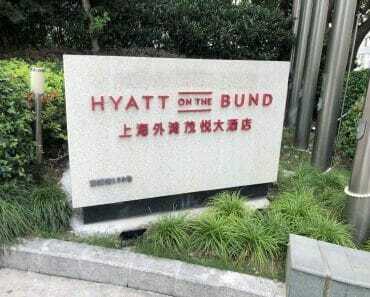 It was in fact there at the concierge when I checked into the hotel. 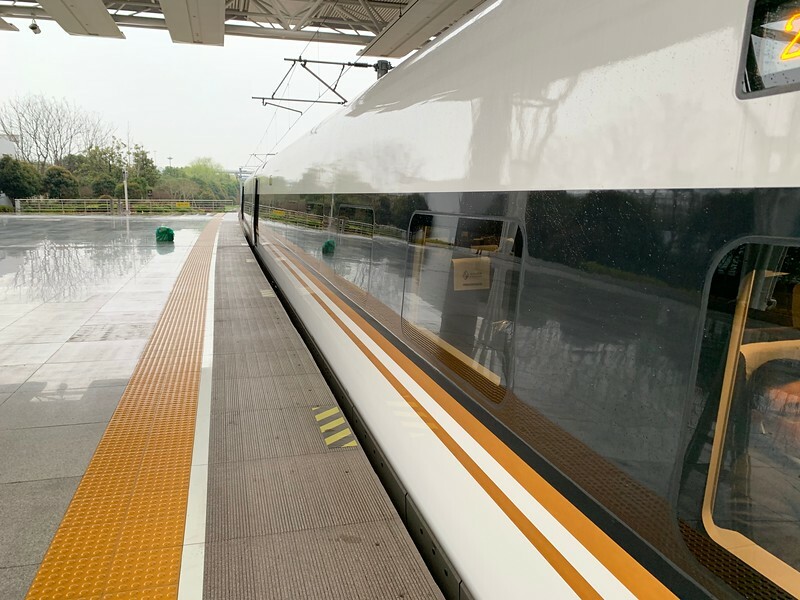 So here’s sharing the photos that might be useful for you if you do decide to buy the First Class high speed train tickets in China. 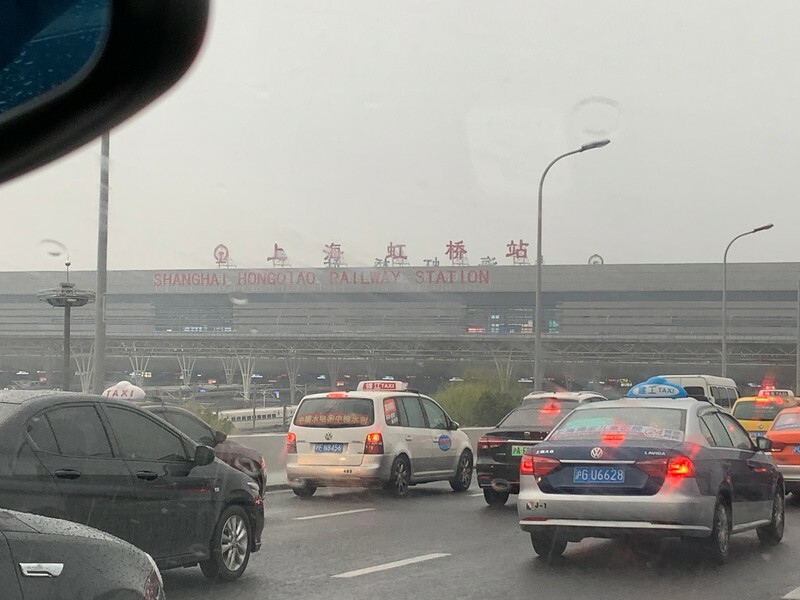 We reached the Shanghai Hong Qiao Railway Station pretty smoothly. As expected and always, there is a slight small jam about 100-200 metres from the station. Always. Taking the G2 train this time. Slightly later than the previous trip. 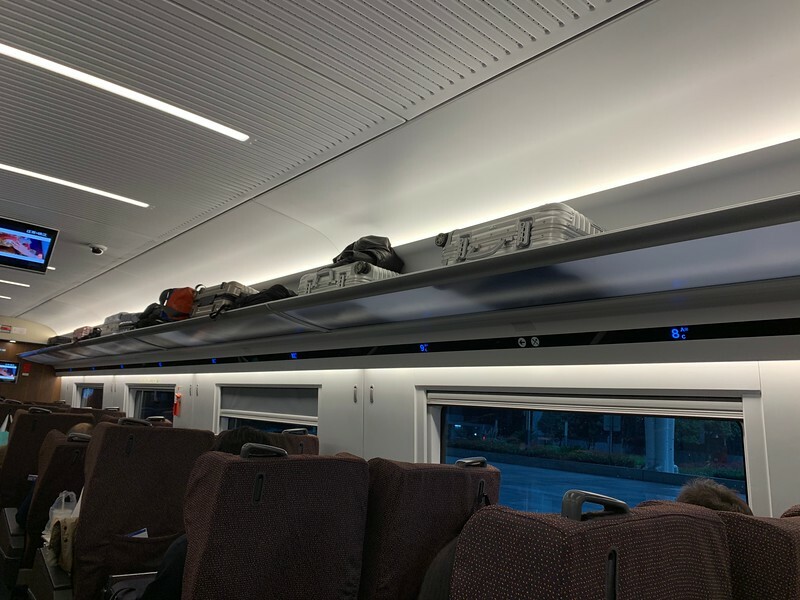 A photo of the First Class seats. 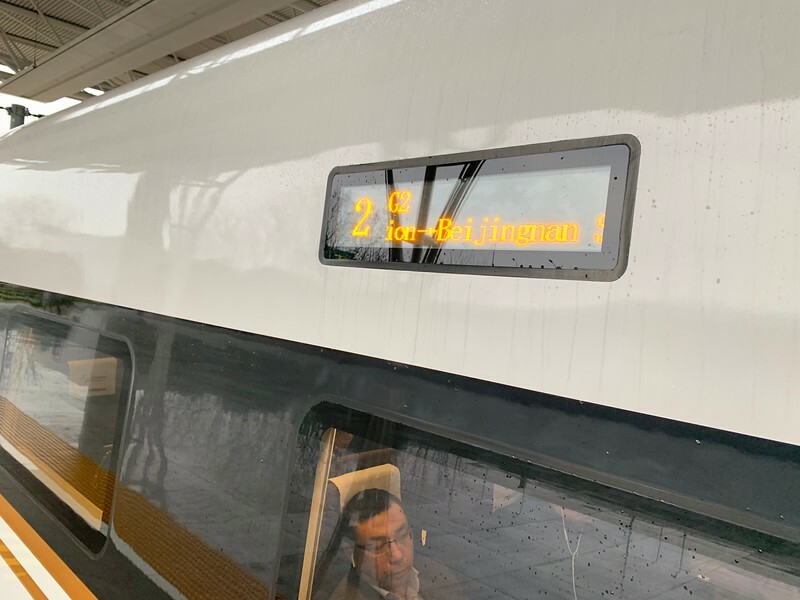 As compared to the business class of 1-1 setting arrangement (or in some cases, 2-1), the first class seats are 2-2 arrangements. But very spacious. Very comfortable. 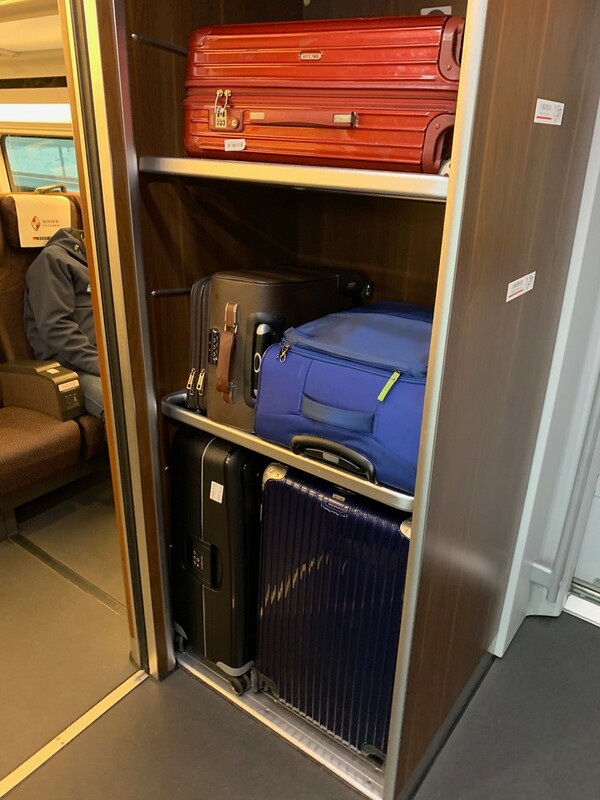 Ironically, in the First Class section, there are nice places to place your big luggages so don’t worry about bringing them onboard. 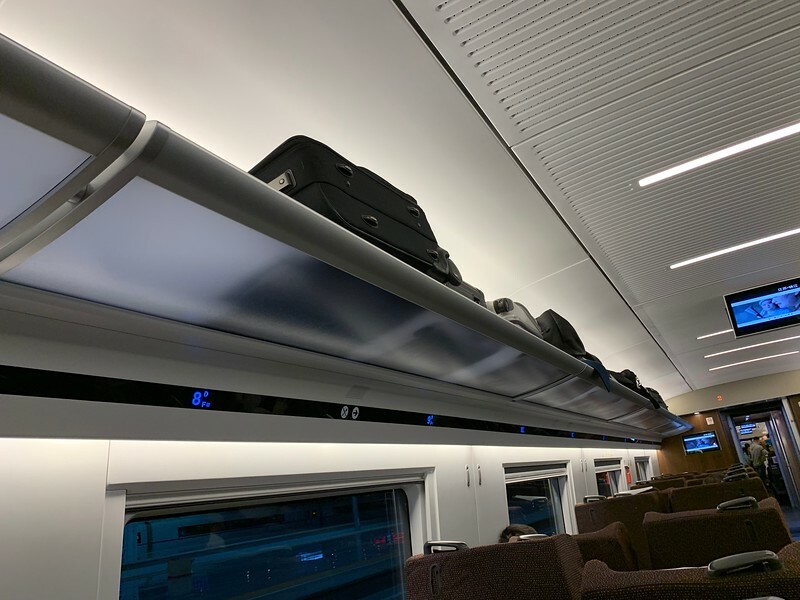 And for the smaller luggages, you can place them above the seats. Or there are really more than enough leg room too. 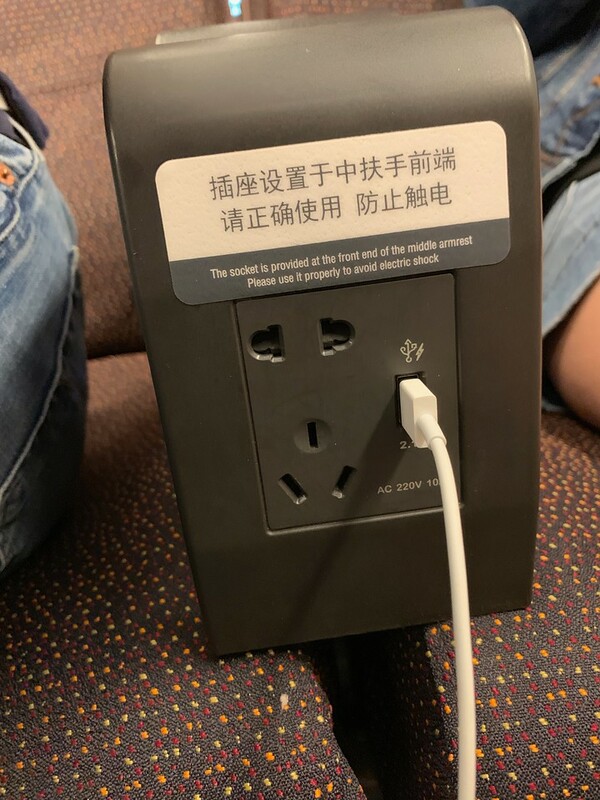 USB Charger and 3 pin plugs at every seat. Beat that ! There will be attendants coming around (very often) with food, drinks, ice cream and cleaners coming around (very often too) with trash bags for you to throw your rubbish. And you do get a bottle of water and a pack of snacks too. And oh yes, you can order food online ! 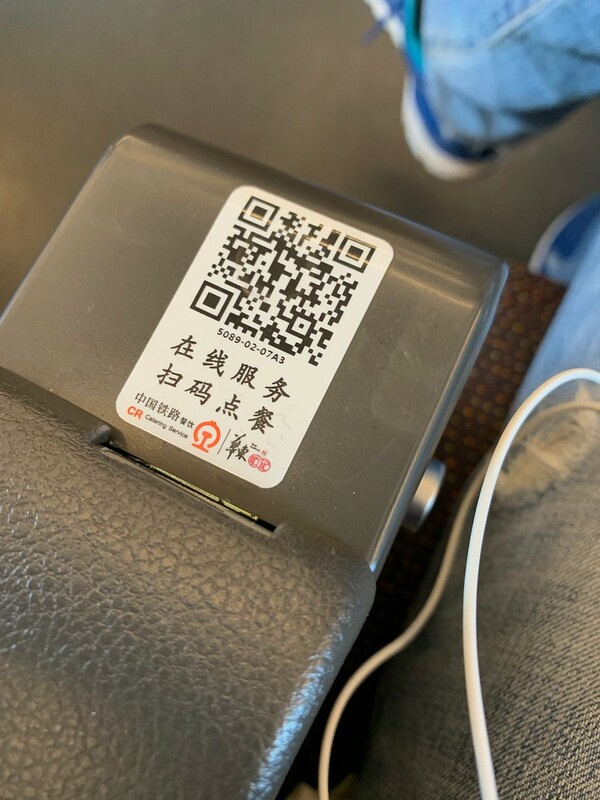 But I think it requires WeChat Pay which (no matter how many tines I tried) I don’t have. The whole journey was once again un-eventful and very enjoyable. 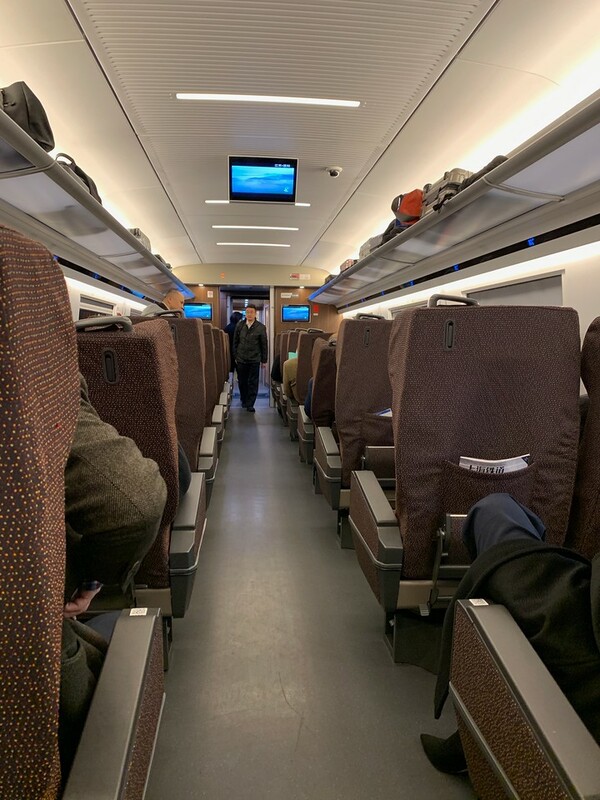 China high speed trains are amazing and like Japan, are really first class. 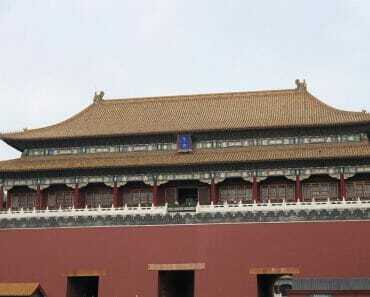 So do try them out instead of taking planes within one city to another in China.